Recent years have witnessed a change in tone within what is still a developing field of continental philosophy of religion. The tone of the first theological encounters with postmodern theory and deconstructive philosophies was primarily critical toward traditional forms of religiosity. Representative of this primarily critical tone was Mark C. Taylor’s assertion from Erring (1984) that “deconstruction is the ‘hermeneutic’ of the death of God.”1 By identifying deconstruction so closely with the radical death-of-God theologies from the 1960’s, Taylor both established a distinctively postmodern theology and marked postmodern theological thinking as necessarily a/theological, and for many, as intrinsically antagonistic toward traditional religion. Such a postmodern a/theology sought a new theological paradigm for what was thought to be a rapidly secularizing culture, a form of theological thought for those uncertain in, if not outrightly suspicious of, their faith. Also representative of this still early encounter with and engagement of continental philosophy and religion was Paul Ricoeur’s now famous identification of Karl Marx, Friedrich Nietzsche, and Sigmund Freud as “masters of suspicion.”2 Ricoeur’s notion of a hermeneutics of suspicion provides a slightly alternative genealogy of contemporary continental philosophy of religion to that of Taylor’s, but still shares with Taylor the assumption of a primarily critical tone toward religion (Ricoeur’s own personal religious conviction notwithstanding). 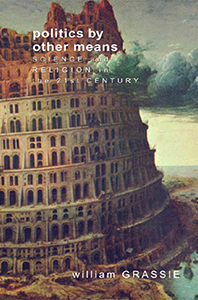 Thus, whether by way of Taylor’s postmodern a/theology or by way of Ricoeur’s hermeneutics of suspicion, the first wave of continental philosophy of religion assumes a certain self-distancing from religion, and as such, is symptomatic of the spirit of secularism that pervades the thought and culture of late modernism. There are a number of contemporary indications that this secularist mindset has undergone a decided shift. Indeed, one of the most surprising aspects of our postmodern culture is the global resurgence of religion; though as noted by Gianni Vattimo in introduction to the book that first brought this to the attention of philosophers, this return of religion is taking place “more in parliaments, terrorism and the media than in the churches, which continue to empty.”3 It is the public visibility of religion that has caused widespread discussion of the proper role of religion in public life, a reconsideration of church/state matters, and the degree to which religious considerations impact the relations between different nations and cultures. Or, as Caputo has expressed it, what the persistence of the religious or the postmodern return of religion reveal is that beyond or after the death of God there remains the desire for God. In other words, the death of God is not the final word, and religion is more fundamentally about desire—even, or especially, when our old beliefs have been worn away or stripped apart, whether it is by the brutalities of modern life to which we have all become spectators, or more complexly still, the pretense of self-sufficiency. God is the (or, at least, one) name that we give to this desire, and religion is the (or, at least, one) means by which it takes its institutional form. But even when the name rings hollow and the form grows stale, it is the event of desire that stirs beneath that we still strive to articulate, that we still mean to affirm. In addition to the advantage this alternative sensibility gives us in describing our contemporary cultural situation, it also has more immediate applicability. This applicability has been amply demonstrated in Caputo’s more recent and more theological works such as The Weakness of God (2006), where Caputo begins by confessing his “weakness for theology”—this after years of accepting the rather rigid boundaries that academics draw between philosophy and theology where theology might be the secret desire or aspiration of the philosopher of religion, but where he dare not tread. The reasons for this reticence are clear and well-founded, for, as Caputo tells us, “theology signifies a passion in which everything is at stake.”10 By giving a name (God) to desire, the theologian, unlike the philosopher, is fully exposed. Not only that, but by giving a name (God) to desire, the theologian has set for him/herself an impossible task. In Caputo’s idiom, theology is precisely this prayer for the impossible, which is not unlike the caution that Karl Barth once counseled to a group of aspiring ministers: “As ministers we ought to speak of God. We are human, however, and so cannot speak of God. We ought therefore to recognize both our obligation and our inability and by that very recognition give God the glory.”11 More provocatively still, think here of Martin Luther’s advise “to sin boldly, yet more boldly still believe.” Caputo has said on many occasions that Derrida “loosened my tongue,” that it was Derrida who freed him up to speak in his own voice.12 The absolute conceit of a philosopher parading as a theologian is where the rubber of Caputo’s reading of deconstruction as a form of liberation meets the road. By trying his hand at theology, Caputo might have transgressed against the self-imposed limitations of philosophy, but these more theological works are characterized by a rare and refreshing boldness. Caputo’s latest installment, What Would Jesus Deconstruct: The Good News of Postmodernism for the Church (2007), ups the ante even more. Here, Caputo not only parades as a theologian, but actually dispenses theological, moral, and political advice to a deliberately targeted evangelical audience. The book is published in “The Church and Postmodern Culture” series edited by James K. A. Smith for Baker Academic. 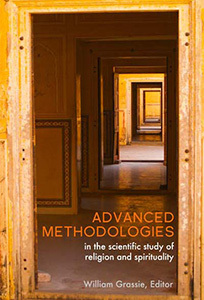 As explained by Smith in the Preface, the series is intended to allow “contemporary philosophy and critical theory to ‘hit the ground,’ so to speak, by allowing high-level work in postmodern theory to serve the church’s practice.” Its goal is to have “high-profile theorists in continental philosophy and contemporary theology” like Caputo “to write for a broad, nonspecialist audience interested in the impact of postmodern theory on the faith and practice of the church” (7). Of course, one might ask, what does a deconstructive philosopher of religion born and bred in the Roman Catholic Church have to do with evangelical Protestantism? Or conversely, what reason would those from the Bible Belt have for reading the book by, let alone taking the counsel of, an East Coast intellectual? Believe it or not, it is precisely this incongruity that gives the book its charm; indeed, one could even say that it is the very point that Caputo is trying to convey. It is true, and readily acknowledged by Caputo himself, that he is speaking as an outsider, that while he might play the part of the theologian, dispense pastoral counsel, and repeatedly (even gleefully) call the Religious Right to task, he does not count himself among their fold. Nevertheless, what they and he have in common is a shared fidelity to Jesus. While Caputo might relish the role of the outsider looking in, what we know from Jesus’ life and witness is that wherever he was and whenever he might arrive, he was the consummate outsider. Thus the question—which began with Charles Sheldon’s bestseller In His Steps first published in 1896 and which has recently become a veritable industry—is “What would Jesus do?” This question is the thread that runs throughout Caputo’s book, and perhaps surprisingly, is also the tool for leverage that Caputo wields in his running critique of the Religious Right. As he writes in the opening paragraph, “My hypothesis is if our friends on the Right really mean to ask that question instead of using it as a stick to beat their enemies, they are in for a shock” (19). That is because the question, when genuinely asked, is inevitably shocking. After all, in what is perhaps a surprise to many of those wearing the WWJD merchandise, the narrative in which that question was first set by Sheldon treats it as a call for radical social justice. It is a call to Jesus, but then, if the New Testament is any guide, one can never know or safely predict precisely what Jesus might do next. In other words, the very posing of the question of what would Jesus do “requires an immense amount of interpretation, interpolation, and self questioning” (24). In short, not only does it deconstruct the pretense of those who claim to speak for God or to know God’s will with absolute certainty, but it itself is a “scene of deconstruction” (26). It simply tells the truth, meticulously, uncompromisingly, without disguise, amelioration, or artificial sweeteners. . . Deconstruction is organized around the idea that things contain a kind of uncontainable truth, that they contain what they cannot contain. Nobody has to come along and “deconstruct” things. Things are auto-deconstructed by the tendencies of their own inner truth (29). Up to now, deconstruction has gotten a lot of mileage out of taking sides with the “un-truth.” That is a methodological irony, a strategy of “reversal,” meant to expose the contingency of what we like to call the “Truth,” with a capital T. . . 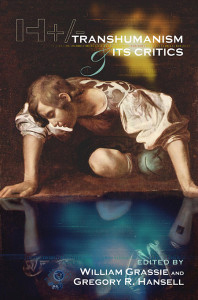 While deconstructors have made important gains exposing the hypocrisy of temporal and contingent claims that portray themselves in the long robes of Eternal Verity, it is also necessary to point out that deconstruction is a the same time a hermeneutics of truth, of the truth of the event, which is not deconstructible (30). It is in this sense of deconstruction that, like the question of “What would Jesus do?”, the much-acclaimed HBO crime series The Wire is also portrayed by Caputo as a scene of deconstruction. That is because it provides us with an unflinching look at the crime, poverty, drugs, and despair of inner-city life in Baltimore. Its characters—whether drug-lords or cops, teachers or students, city hall officials or the forgotten masses who bleed out into the streets—are all three-dimensional and self-conflicted. There is no white knight in shining armor, though good intentions, as well as shady political and business dealings, abound. It is deconstructive because it exposes the myth of the American dream to its all-too realistic underbelly. It ties together with the question of “What would Jesus do?” because to the extent that Jesus cared about the poor and the outcast, this is where the good news of the church meets its contemporary challenge. Throughout the book, Caputo also makes reference to many other scenes of deconstruction drawn from literature, film, and popular culture, including Khaled Hosseini’s The Kite Runner, Dostoevsky’s “The Grand Inquisitor,” Dan Brown’s The Da Vinci Code, the Mission Impossible films, the music of Frank Sinatra, etc. While these references help to illustrate his argument and establish reference points for his audience who might otherwise be intimidated by the high theory and litany of philosophers embedded throughout the analysis, the whole of the text can be organized into four main themes: the critique of the Religious Right, the application of the gospel to concrete social and political issues, the status of Jesus and the authority of scripture in light of a deconstructive analysis, and finally, the rewriting of deconstruction as the hermeneutics of the kingdom of God. In what follows, I will briefly take each one of these up in turn. 1) The critique of the Religious Right: This indictment of the Religious Right has already been mentioned several times above. Though the criticism is never laid out in a systematic fashion, and is often times added by Caputo simply as an aside to his primary concern, it does cohere as a twofold charge. First, Caputo takes issue with the self-assured posturing of the Religious Right as represented by its well-known outspoken leaders. The problem here is not simply the personal style of these leaders, but it goes deeper as a philosophical matter. By presenting their faith in terms of a series of moral absolutes, they are making a fundamental epistemological mistake in confusing faith with knowledge. For Caputo, drawing on the lesson hammered home by his years of study of Kierkegaard, faith goes hand in hand with doubt. Indeed, as Caputo writes in his discussion of John McNamee’s Diary of a City Priest, doubt is not the opposite of faith, but its very condition of possibility. Especially when one considers the crime, drugs, poverty, and despair that someone like McNamee as a priest in North Philadelphia has to face on a daily basis, in a situation like this, “one is called on to have faith in a world in which it is impossible to believe anything,” and where “doubt is more humane than faith” (121). So for those on the Religious Right whose faith leaves no room for doubt, Caputo adds his deconstructive analysis—which is, namely, that their lack of doubt is the “fuel for fanaticism” (121). Two brief comments about Caputo’s respective charges against the Religious Right. First of all, the reader will be pleased to note that even while Caputo’s critique sometimes reads like a blanket condemnation of both political conservatism and evangelical Protestantism, he does at least note and commend the growing list of progressive evangelical thinkers such as Jim Wallis, Brian McClaren (who contributed the Foreword to the book), Jimmy Carter, and others. In this way, his critique is not nearly as categorical as it might at first sound, especially when one takes into consideration the target audience for this book. After all, this book is deliberately written for an evangelical audience and published in a book series edited by a prominent evangelical theologian. The critique, therefore, is fundamentally theological in calling to question who rightly speaks for Christianity. Second of all, recalling Caputo’s long tutelage with the writings of Kierkegaard, while the reader might wish for a more careful treatment of the Religious Right, one that does not turn it into the proverbial straw man, one must also appreciate the function of Caputo’s rhetoric as an act of a provocateur. Any attention to his tone and style throughout should guide the reader to understand that Caputo’s critique is deliberately hyperbolic and that it is intended for effect. Satire, wit, even sarcasm, are the hallmarks of his style—so reader be warned, while at times scathing in its analysis and critique, it can only be understood on its own terms if one’s sense of humor is in tact. 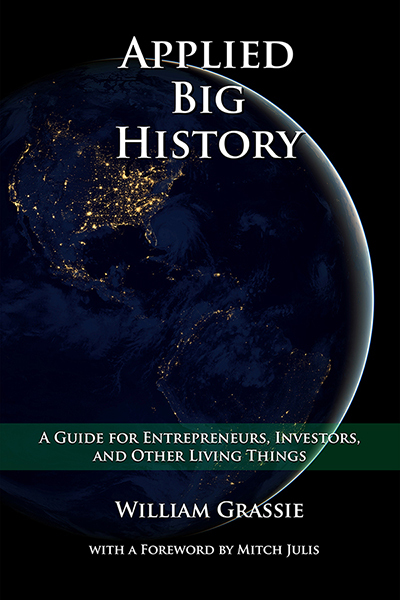 That being said, Caputo is not at all reticent when it comes to applying the message of Jesus to the social and political realm; indeed, in what is perhaps the most courageous and refreshing part of the book, Caputo directly takes up the questions of economic justice, militarism, patriarchy, abortion, and homosexuality. In his examination of these cultural hot-button issues, Caputo falls on the liberal-progressive end of the political spectrum. While Caputo is reliably or predictably (depending on one’s own political persuasion) progressive in his social and political convictions, it cannot be said that he is ideologically rigid in his analyses. The difference is that a politics of Jesus would imply that the New Testament is straightforward, direct, and transparent when it comes to contemporary social and political issues, whereas an effort to apply the message of Jesus to the social and political realm acknowledges the need for interpretation. Put simply, a politics of Jesus would be too literaralistic, whereas Caputo’s approach is hermeneutical. As he explains, “It is our responsibility to breathe with the spirit of Jesus, to implement, to invent, to convert this poetics into praxis, which means to make the political order resonate with the radicality of someone whose vision was not precisely political” (95). 3) The status of Jesus and the authority of scripture in light of a deconstructive analysis: Returning to the question of “What would Jesus do?”, we might ask ourselves the actual difference that Jesus makes as the specific reference point in question. It is perhaps on this point where Caputo’s analysis is most insightful, even revolutionary. After all, when the question of “What would Jesus do?” is typically posed, it is as if we, armored with the best of intentions, are calling on our better angels, summoning up the moral fortitude to do the right, good, and decent thing that we know we ought to do. But so long as that is the role the question plays, what real need is there for Jesus at all, except as a stand-in as the representative moral exemplar? Would Jesus not be interchangeable with other moral exemplars—what would the Buddha do? Or George Washington, for that matter? What practical difference does it make so long as we already know the answer in advance? As Caputo puts it, “What is the uniquely Jesus-inspired thing to do? I do not mean some universal-rational thing (as if there were one!) that we might get from Socrates or Kant, but the specific genius, the divine madness that characterizes Jesus in particular” (81). Echoes of Rene Girard, to be sure, but in keeping with the book’s main concerns and key question, we are back to the previous point about the absolutely unpredictable nature of Jesus. What Jesus adds to our moral reasoning is not simply the reduplication of our rational ethical theories. More precisely, what Jesus adds to our moral reasoning is the confounding of our rational ethical theories. For instance, it is said that we should love and care for our own, that any father or mother who does not show special regard for his or her child has neglected the responsibilities of parenthood, and that children should show their parents the proper honor and respect. But Jesus says that anyone who does not “hate” his/her father and mother cannot be his disciple. Jesus calls for unconditional love thereby negating the special concern and attachment that is our birthright and by all accounts the natural and necessary basis for society. Jesus commands us to love our enemies, but any study of our psycho-social development would tell us that it is imperative to our survival that we learn to distinguish friend from enemy, those whom we can trust and those we cannot. In other words, once we consider the “uniquely Jesus-inspired thing to do” we only then begin to understand the extent to which Jesus is a stumbling block and a scandal. In light of that, there is nothing so secure or stable upon which we can fasten our beliefs—this applies even to the very authority of Scripture itself. While the Bible is often times cited to settle political scores or to decide moral convictions, for Caputo it too is always in need of being hermeneutically interpreted. When this question of authority is raised, Caputo answers directly: “My answer is that I am not an idolater. In deconstruction, the Scriptures are an archive, not the arche (which means they are not God). I take the second commandment very seriously and I do not put false gods—like books (biblical inerrantism) or the Vatican (papal infallibility)—before God, who is the ‘wholly other’” (110). This allows Caputo the freedom to argue that in certain cases—most notably, homosexuality and abortion—the Bible might be either in the wrong or at least ambiguous by its silence. He quotes from Elizabeth Schussler Fiorenza to say that no text “that perpetuates violence against women, children, or slaves should be accorded the status of divine revelation if we do not want to turn the God of the Bible into a God of violence” (111). Likewise with regard to homosexuality, there is no shame in admitting that the Bible’s views of sexuality are outdated and reflective of a patriarchal culture. By Caputo’s hermeneutical interpretation, there is no requirement to deny science in order to remain faithful. 4) The rewriting of deconstruction as the hermeneutics of the kingdom of God: Returning to where I began regarding the changing tone within Continental Philosophy of Religion and Caputo’s sustained effort at deconstructing deconstructive a/theology, it is on this point that I would like to conclude. Like the French philosopher Jean-Luc Nancy’s project at deconstructing Christianity,13 and before him the German biblical scholar Rudolf Bultmann’s project at demythologizing scripture,14 there is something of a rehabilitation that is accomplished by Caputo’s reading of deconstruction as the hermeneutics of the kingdom of God. That is to say, rather than being characterized by its antagonism towards traditional religion, Caputo’s deconstructive analysis is fundamentally affirmative. So while Mark Taylor once spoke of deconstruction as the hermeneutics of the death of God, Caputo speaks of the kingdom, because, in his words, it helps us “get at the prophetic spirit of Jesus. . . In my view, deconstruction is good news, because it delivers the shock of the other to the forces of the same” (26-27). And elsewhere, Caputo explains, “The deconstruction of Christianity is not an attack on the church but a critique of the idols to which it is vulnerable—the literalism and authoritarianism, the sexism and racism, the militarism and imperialism, and the love of unrestrained capitalism with which the church in its various forms has today and for too long been entangled, any one of which is toxic to the kingdom of God” (137). 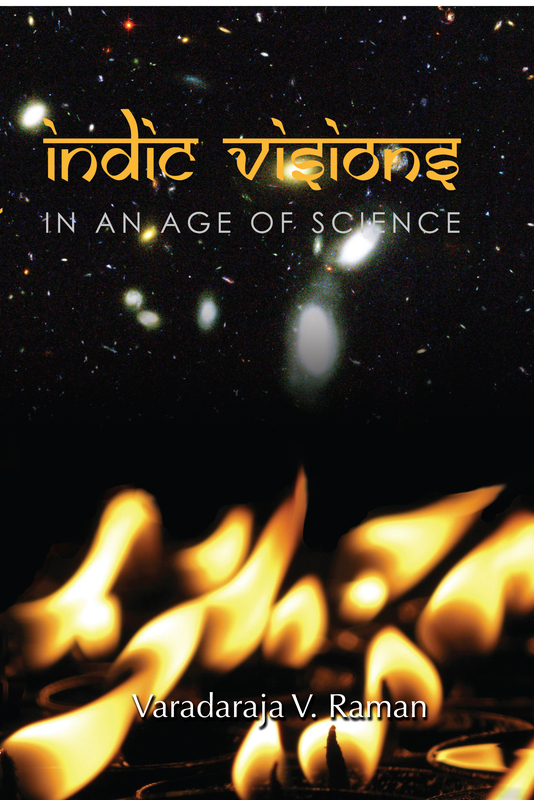 While Caputo adds that there is nothing new in this claim, that “it is the ageless task imposed on the church and its way to the future” (137), I would counter that it in fact continues and expands upon the something new that he has contributed in shaping the burgeoning field of continental philosophy of religion and that it promises something new and different for the evangelical audience he is targeting. 1 Mark C. Taylor, Erring: A Postmodern A/theology (Chicago: University of Chicago Press, 1984), p. 6. Taylor is echoing a claim first made by Carl A. Raschke in Deconstruction and Theology (New York: Crossroad, 1982) that deconstruction is, in final analysis, the death of God put into writing (p. 3). 2 See Paul Ricouer, Freud and Philosophy: An Essay on Interpretation, trans. Denis Savage (New Haven: Yale University Press, 1970), pp. 32-36. 3 In Religion, eds. Jacques Derrida and Gianni Vattimo (Stanford University Press, 1998), p. ???. 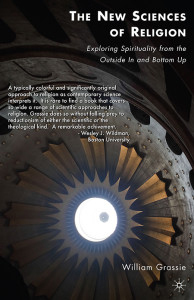 For more on the philosophical treatment of this postmodern return of religion, see Hent de Vries, Philosophy and the Turn to Religion (Baltimore: Johns Hopkins Press, 1999) and Dominique Janiqaud, Jean-Francois Courtine, Jean-Louis Chretien, Jean-Luc Marion, Michel Henry, and Paul Ricoeur, Phenomenology and the “Theological Turn”: The French Debate (New York: Fordham University Press, 2000). 4 Van Harvey, Feuerbach and the Interpretation of Religion (Cambridge: Cambridge University Press, 1995). 5 Tyler Roberts, Contesting Spirit: Nietzsche, Affirmation, Religion (Princeton: Princeton University Press, 1998). 6 James DiCenso, The Other Freud: Religion, Culture and Psychoanalysis (New York: Routlege, 1999). 7 John D. Caputo, The Prayers and Tears of Jacques Derrida: Religion without Religion (Bloomington: Indiana University Press, 1997), p. 14. 8 Caputo, On Religion (New York: Routledge, 2001), pp. 56-66 and Caputo and Gianni Vattimo, After the Death of God, ed. Jeffrey W. Robbins (New York: Columbia University Press, 2007), pp. 66-70, 144-150. 9 De Vries, Philosophy and the Turn to Religion, p. 9. 10 Caputo, The Weakness of God: a Theology of the Event (Bloomington: Indiana University Press, 2006), p. 1. 11 Karl Barth, The Word of God and the Word of Man, trans.Douglas Horton (Gloucester: Peter Smith, 1978), p. 186. Emphasis in the original. 12 See After the Death of God, p. 135, and “Loosening Philosophy’s Tongue: a Conversation with Jack Caputo” in The Journal for Cultural and Religious Theory, vol. 3, no. 2 (April 2002): http://www.jcrt.org/archives/03.2/index.html?page=caputo_raschke.shtml. 14 See Rudolf Bultmann, New Testament and Mythology (Augsburg Fortress Press, 1984).